For most endurance runners, the endurance running bug starts as a fitness challenge (run a marathon/half marathon, etc, etc) or other reasons (each one is intensely personal). But then a funny thing happens…it becomes the most amazing mental and spiritual journey which transforms not only their fitness but their complete personality and outlook towards life. The better runner is a better man…a better human being. I Discovered What the Real Me Was Made of…. ……the real and genuine me and not just my opinion of myself (which in any case was over-inflated). Running a marathon required a realistic assessment of my physical fitness, picking a plan, following it to the T. It is pain, sweat, hard-work and mind over matter (actually mattress in most cases). Tough races, trying conditions – I discovered previously unknown depths of physical endurance, mental strength and plain simple guts of steel. The grim determination of not having a DNF against my name tested the very limits of my being….it brought me face to face with who I was and what I was capable of…and cemented my belief in myself in cast iron ! Marathons Give Me a Sense of Genuine Accomplishment and Honest Pride…. …..Only 1% of the world’s population has ever run a marathon and only 5% of that (amongst all age groups) runs it faster than me! I am not physically gifted but I realized that I can beat my bloodline or gene pool through the unbeatable combination of intelligent, sustained hard work and sheer will-power….it gives me the confidence to take anything head-on with no sense of fear or failure! I am INVICTUS! I can embrace any challenge – physical, mental or spiritual. I now embrace challenges, they make me grow. 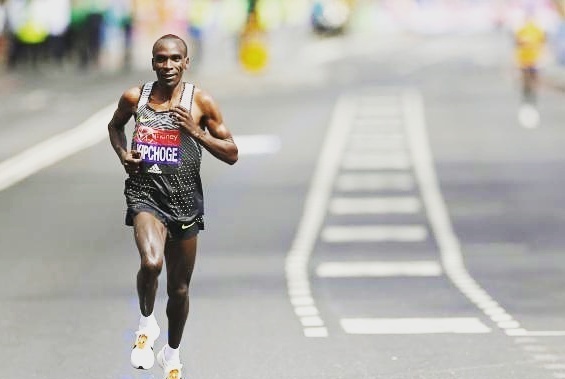 Running Made Me Humble and Human…..
…..All runners are or at some point have been obsessed with speed and distance. I used to flaunt my ‘personal best timing’ and ‘longest distance run’ ad nauseam…but not for long. The humbling realization soon came that there will always be someone better who can run faster and can run longer than me. This has made me humble and recognize the running feats (timings, distance, etc)and the running journey (grit and steely determination) of others and cheer them on with no malice in my heart. More so, because it is not a level playing field out there….some are more blessed than others (better bodies, youth, gear, coaches, time, etc)….sometimes I think that it is unfair and I can’t compete with them….I now accept that I can’t change this…actually the true competition is me against me…I am my own standard…am I better than yesterday ?…. It made me human because I accept that there is a limit to my own capabilities…but more importantly I seek to constantly improve…MERAKI and IKIGAI ! …..Every run is a constant and endless conversation with myself. Having got over the physical discomfort of being a beginner runner…every run is now an opportunity to be in the moment…in the flow…it is me time…it is therapy…it is problem solving…it has become my moment of the day when I am truly at peace with myself and I cherish it. It has taught me to live in the moment ! A Reason to get Up in the Morning…..
…..As we get older – life happens…our dreams die and slowly so does our spirit. Running releases me from this self-induced cage. It’s about setting the alarm every night, winning the battle of mind over mattress every morning, tying my shoe laces and heading out for a run in the cold/heat, sun/rain (by the way – skin is waterproof). It’s the knowledge that most of the world is still sleeping while I’ve already achieved my first victory of the day ! It’s about going to sleep with a dream, waking up with the zest and spirit to seize the day….Carpe Diem ! … My runner friends don’t see me through glasses colored with societal norms of status, money or the corner office. They see me as a fellow kindred spirit. They see the true me at the end of 21.1 kms – sans my fake personality and sans my makeup (tired, sweaty and muggy) and sans my fancy clothes (spandex doesn’t lie)…in short they see me as my true self – raw and unadulterated. They understand….the need to give up weekend parties, the need to wake up at unearthly hours and run on lonely trails/roads before sunrise, the fact that silences can be companionable too, the need to fill the forms for just one more race, the fact that you need one more running shoe though you already own five pairs….they are crazy and they understand and share my madness ! A Way to Give it Back to the Community…. …..they say that the soul gets the most satisfaction when you give back the gratitude to the community with nothing in return. I can’t beat the clock…timings will decline, distances will reduce ! How do I keep my running spirit alive….by sharing the magic with others…blogging, coaching, leading my team and motivating ! Running gave me the gift of self-discovery…it released me from my physical and mental limits and test the outer limits of my body and my soul…it made me believe that I can be beaten momentarily but never be defeated forever…because I will rise again…it has taught me compassion and humbleness…it has shown me that there is always something better out there…a better runner…a better person…the best is yet to come….I am a runner…I am Superman.